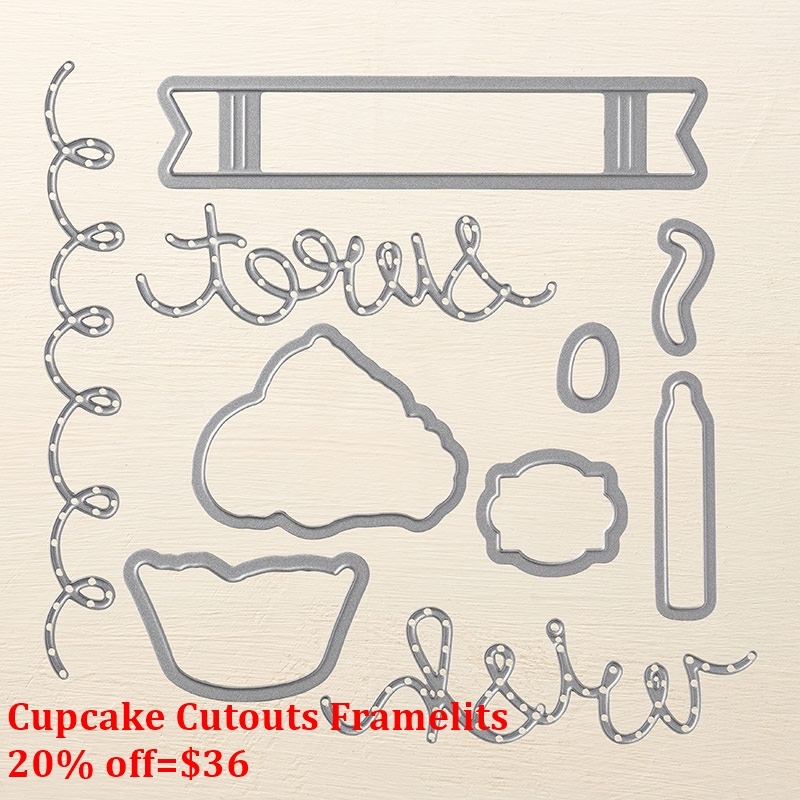 Tag: Shop Online for Stampin’ Up! HAPPY 10 YEARS WITH STAMPIN’ UP! 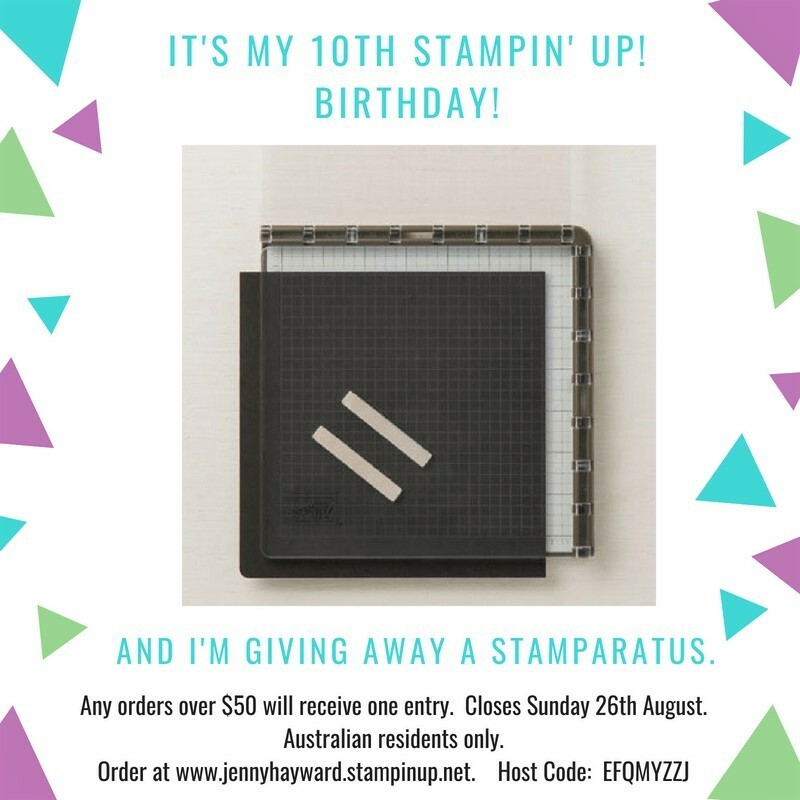 So to celebrate my 10th Stampin’ Up! Birthday, I am giving you the gifts. You might have seen the Stamparatus? The great positioning tool that helps you in your stamping. SOME RETIRING PRODUCTS REDUCED NOW! Select items from the retiring list have been reduced. 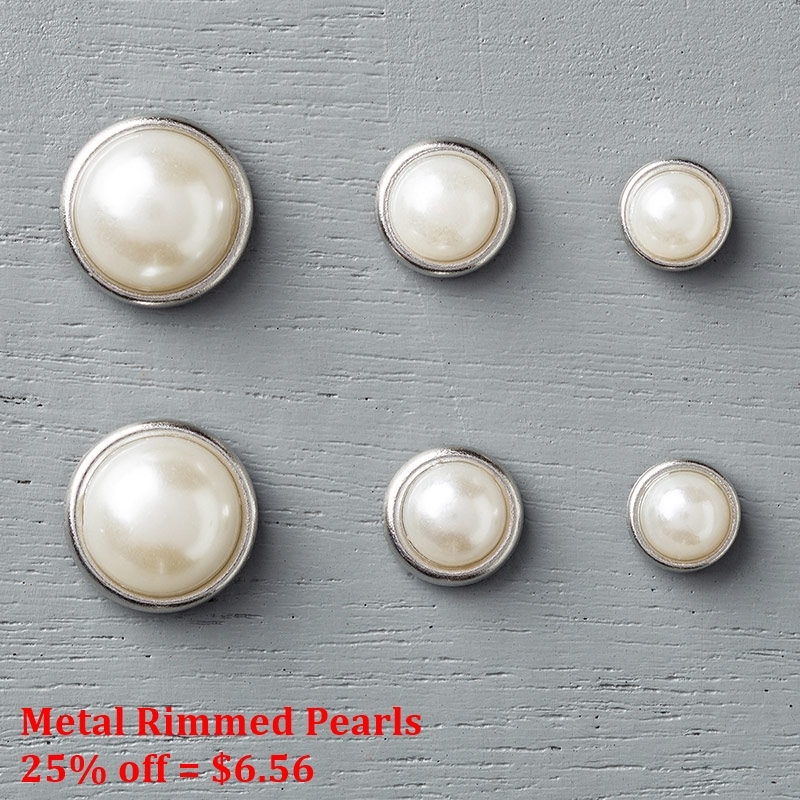 Some amazing savings to be had! It won’t show up too clearly in the table below but read on for some specials and you can view them on my online website too -> HERE. 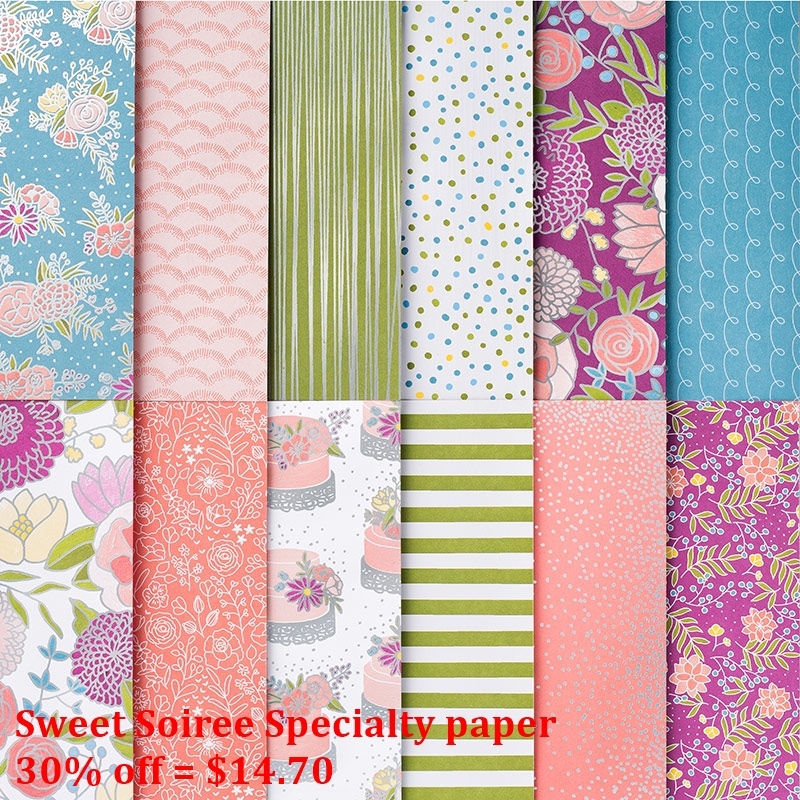 I love the Sweet Soiree paper. You will want to grab that at $14.70. 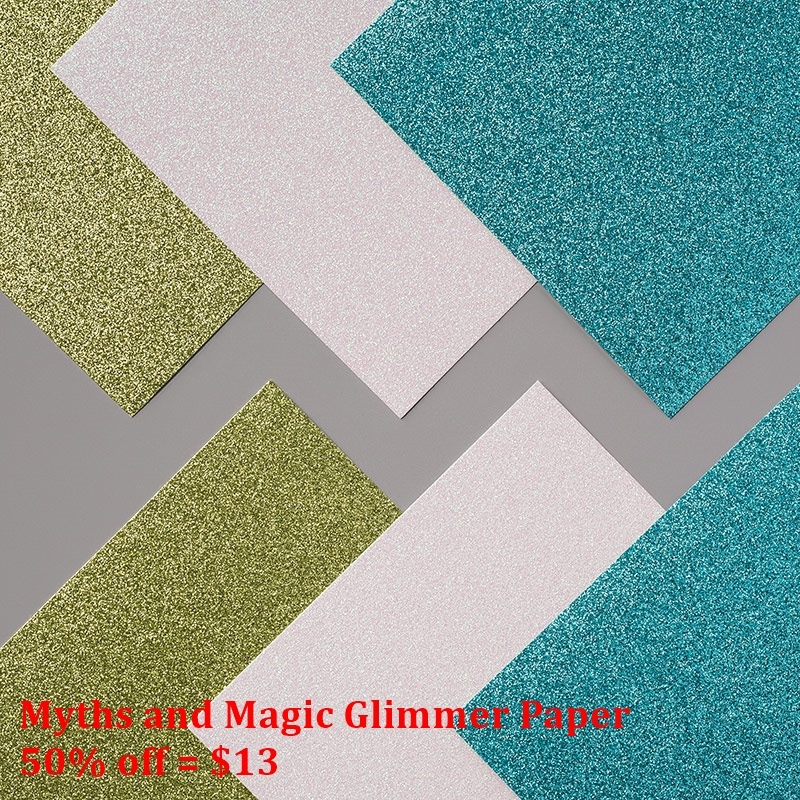 The Myths and Magic Glimmer paper is really sparkly and at $13 is a great price. The Christmas Stocking Thinlits will be great for Christmas. 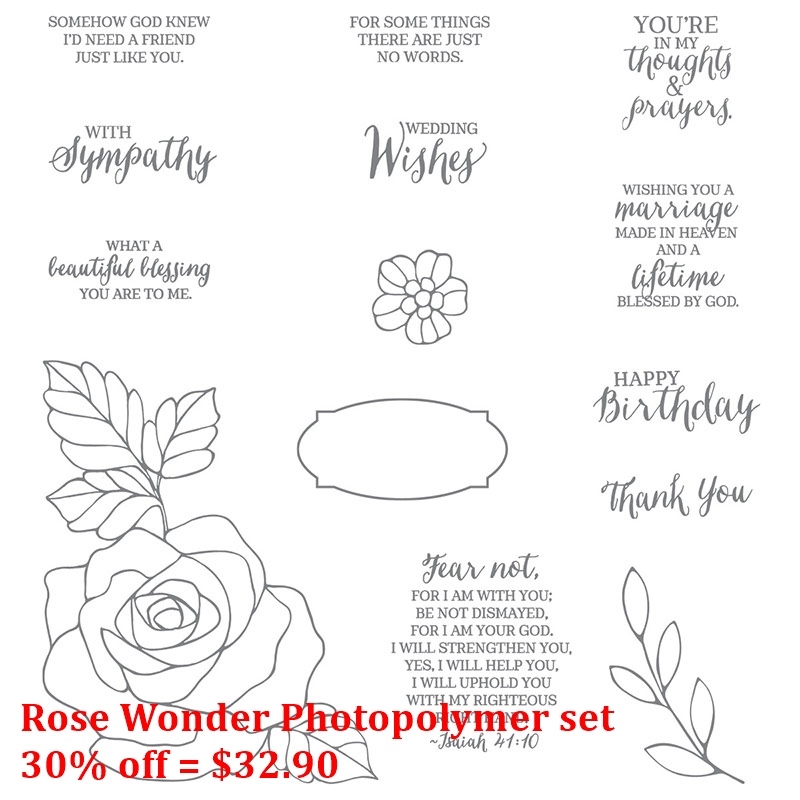 Plus don’t miss the Rose Wonder stamp set. I use this so much for those special occasion cards and Sympathy card. This is 30% off now. The Retirement List (=Last Chance List) and the Clearance Rack can be viewed online NOW. AND to Order in my store Head -> HERE. SHARE WHAT YOU LOVE – EARLY RELEASE! As you probably know the 2018 Stampin’ Up! 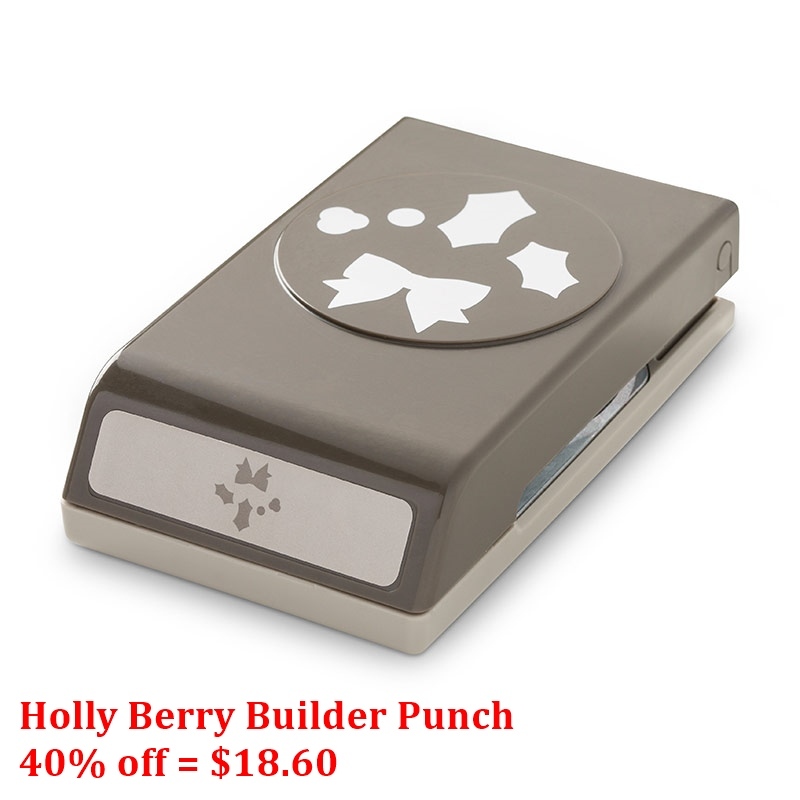 Catalogue begins on June 1st BUT Stampin’ Up! have a gorgeous suite released early Just For You! This is the Share What You Love Suite which includes a beautiful stamp set, gorgeous papers and lovely embellishments. I will share more over the next couple of days but here is some brief details for now. This “JUST GETTING STARTED” ($98.75) Bundle gives you all the basics to create a quick card like the one below. (You don’t even have to colour the flowers!). Use this as an idea to create lots more quick and easy cards with this set. The Free Very Vanilla Notecards and Envelopes makes them very quickly. Grab “A LITTLE MORE” ($159.75) with some gorgeous Rich Razzleberry Velvet ribbon and the Artisan Pearls. Plus, with an additional stamp set you can make the cards extra special. Grab some Envelopes and the Embellishment Kit for Free! This is just one of the many cards you can make with this Bundle. BUT, you have just “GOTTA HAVE IT ALL”. ($222.75) The papers are just absolutely gorgeous. Every single sheet I tell you. You can make very special cards like the one below. Why not throw in the Free Statement of the Heart single stamp, Very Vanilla envelopes and the Share What You Love Embellishment Kit. If you want to grab the new Incolor Inks. You can grab them for $58.50. Save 10%. Order these NOW in my store -> HERE. OR order by contacting me directly. ORDER ANY OF THESE KITS DURING MAY AND RECEIVE A TUTORIAL TO CREATE 2 CARDS EXCLUSIVE TO MY PERSONAL SHOPPERS THIS MONTH. Thanks for stopping by today. I am sure you will see more with these products over the next days and weeks. Awesome bargains to be had in the Clearance Rack now. Stampin’ Up! have just updated it. Many are items from the Holiday Catalogue that are clearing out. A lot are at 40% off. Seriously you have to check this. Be sure to check on the Retired List too while you are there in store by clicking on the link in the left hand column. Remember too, that for every $50 you get a little check on my VIS (Very Important Stamper) Loyalty card. Once you collect 10 you get free products up to $24.95.